You have to open the pubspec.yaml file that is present in the root of your Flutter project and add the below dependency. We have to create a Completer that hold the WebViewController future that will gets fired on completion or error of webview. We will add the webview to the body of the UI. onWebViewCreated will be called when the Webview is created and we will call complete on the controller to complete the future. We will add a back button, forward button and a reload button in the AppBar. For that we will create a seperate class called NavigationControls. The back button will send back the webview to its immediate history page and forward button will send it to its forward page. The refresh button will reload the page. Add one more button to the NavigationControls. We can get the user agent with the below function. 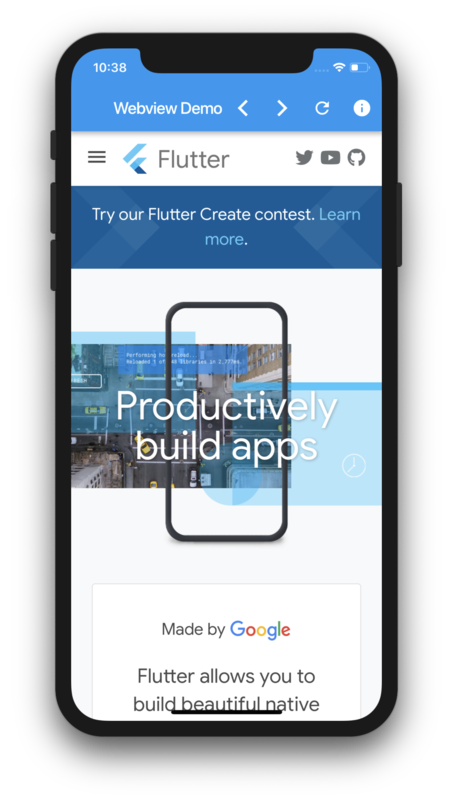 So there is the basic stuff about Webviews in Flutter. See you in the next tutorial. Get the source code from here. Watch the video tutorial to see it in action.